Stella! Marlon Brandon screams his wife’s name in desperation in this famous scene from the movie “Streetcar Named Desire.” I felt like screaming too after a recent dinner at Stella Restaurant in Rockville. It really wasn’t that bad, but when you take a beautiful restaurant and serve it up with less than stellar food, it is frustrating. A movie reference is a natural one when it comes to my dinner at Stella Restaurant. I’m here after a movie at Regal Cinema in Rockville. There is no shortage of satisfying dining options in the area, but we head up towards Traville Gateway Drive, planning to check out the relatively new Quench. Unfortunately, the kitchen is closing early for a private party. Cava is our next option. We aren’t feeling favorable towards the 45-minute wait that is predicted. Stella is up next and it seems perfect. We settle in with the menu and a nice glass of wine. On the surface, the setting is appealing and happily it’s not too loud. 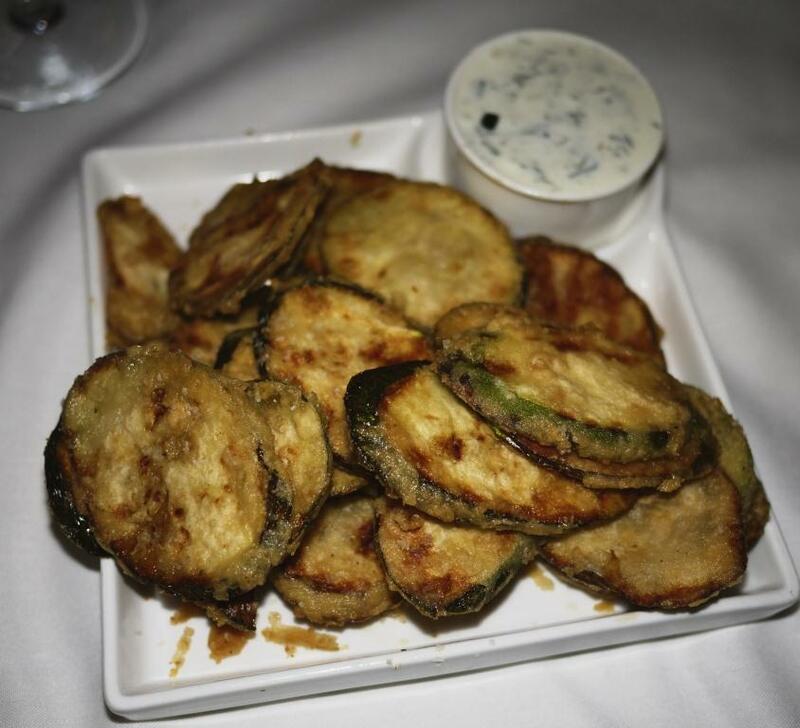 We start with fried zucchini strips with cucumber yogurt sauce. Not bad, although a tad salty. But nothing that dashes my hopes for a good meal. 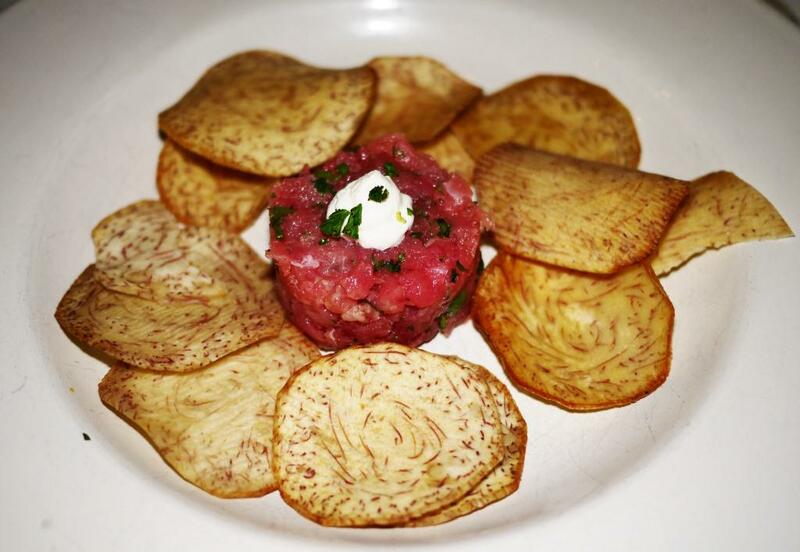 The uh oh comes with the tuna tartare, which our affable server describes as “the best around.” If the best around means having no discernible flavor, then maybe. 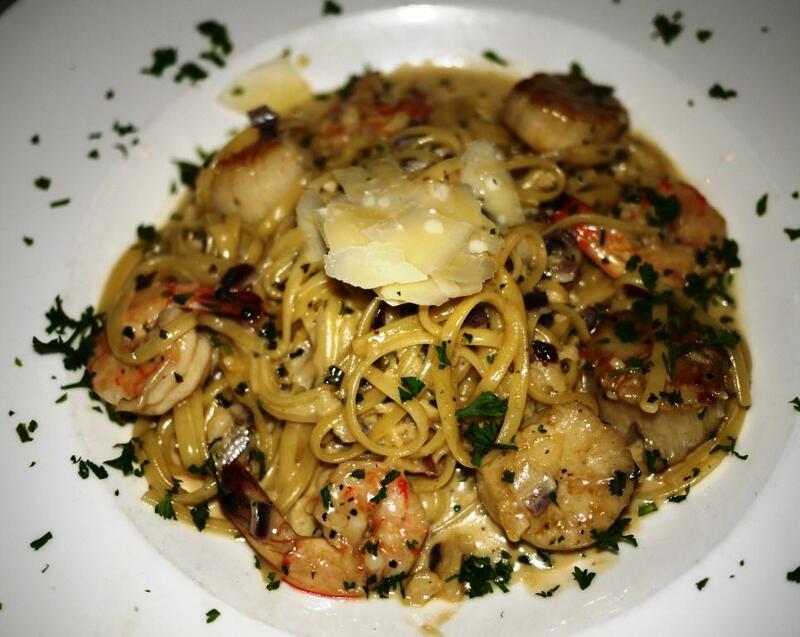 I am in the mood for a pasta dish. 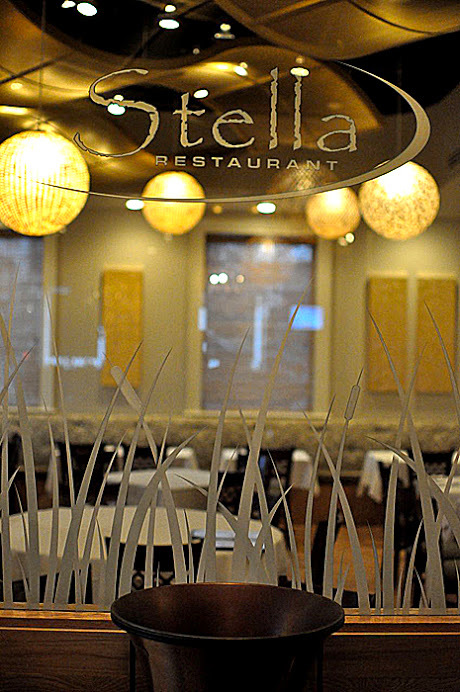 I ask for Stella’s shellfish linguini, hold the mussels and clams. Points for a kitchen that is willing and able to oblige, leaving me with shrimp and scallops. Unfortunately the dish is dull and the seafood is overcooked. I leave most of the dish uneaten. It isn’t worth the calories to continue. My friend’s roasted chicken also suffers from over-cooking and an all too sad lack of seasoning. The pasta pearls with butternut squash, rapini, and sage butter is so unappealing that when my friend offers me a bite, I decline. She doesn’t dissuade me by singing its praises. 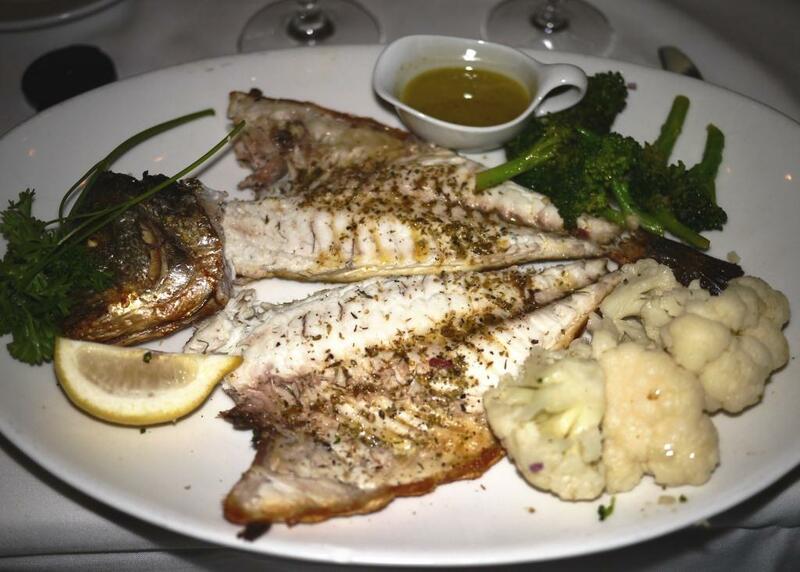 The bright light is my husband’s entree of grilled dorade, which is simply prepared with EVO-lemon sauce. (although it does not compare to the wonderful dorade he has at The Daily Dish earlier in the week). I’ve been told by others that Stella’s is a good place to go for grilled fish and indeed this is posted on the restaurant website as their specialty. However, their website also states that they want to be perceived for great value. Most entrees are in their mid to upper twenties (grilled dorade is $25). Our dinner of two entrees, one salad, and two glasses of wine, tops out at over $80- which I don’t think classifies as a value meal. Dinner and a movie is a great way to spend a Saturday night. Some of my favorite casual restaurants in the Rockville area: Bombay Bistro, La Limena, East Pearl, Spice Xing, and La Canela. I’m sorry to have to say this but Stella you “coulda been a contender.” Unfortunately being pretty just isn’t enough.